It should not be surprising to you to find out that many people that play trumpet don’t know the parts and what each part stands for. On that note, let’s take you through the parts of the trumpet that you need to know and that which each of them stands for. The mouthpiece of the trumpet is the part of the brass instrument where you need to place your lips and control the sound of produced. It is through the mouthpiece that you send air across to every other part of the instrument. It shows how vital the mouthpiece is. The mouthpiece is an indispensable part of the brass instrument. You can barely play the instrument without this part intact. Playing the trumpet without it is quite difficult because the mouthpiece receiver is not rounded like the mouthpiece and will likely cause injury to the lips while trying to play. Mouthpiece comes in different style, shape, and materials. You need to choose the one that best suits your playing style and your level of play. Some are allergic to some materials, and you should avoid that if you are too. Choose the one that you can easily relate with to get the best performance. The lead pipe of the trumpet is the next part of the brass instrument we want to share with you. It is the part of the trumpet that receives the mouthpiece from the mouthpiece receiver. It is an important part of the trumpet as it determines the level of air that will pass to the horn. Due to the nature of its performance, the lead pipe must be kept clean at all times. It has every potential to keep or hold on to saliva from your mouth while playing. Once saliva stores on the place, it will likely rust and that will later affect the overall performance of the trumpet. The buttons that you use to play different keys and note on the trumpet is known as the finger buttons. You make use of your index finger, middle finger and ring finger to control the finger buttons. The trumpet will only give sounds whenever you play but that which gives rhythm and meaning to that which you are playing. The melody you hear from those playing trumpet wouldn’t have been easier to do if not for the finger buttons. You need to learn how to use the finger button before you can become a better trumpet player. Moving your hands on the buttons takes a lot of training and practice to become mastery of. You need to know how each works, when and when not to press the button whenever you are playing. Pressing at the wrong time will give a poor sound production which is why you need to be more inclined to how it works. Most people don’t give regards to this part of the trumpet. It is very small but plays a major role to keep the trumpet in a balanced form. The finger hook gives maximum support to the trumpet which makes it easier for you to play for a more extended period. The finger hook gives balance to the trumpet thereby making it comfortable to play even with one hand. If you want to know the impact the finger hook has on the trumpet, you should remove it and then try to play the trumpet, and then you get to know how important the finger hook is. The bell is the largest part of the trumpet. It serves like the speaker of the trumpet which transfers the sound to everyone’s hearing. It is effective with projecting sound, and it appears that the bigger the bell, the bigger the sound produced. If the bell is small, the sound produced will be minimal, and that is why you need to choose the one with a standard bell. If you want to get a smooth and quality sound with your trumpet, you should consider a trumpet with a big bell. The water key is another part of the trumpet that you should know about. It works like a valve or tap where you all the saliva buildup in the trumpet can escape through. If the water key isn’t integrated into the design of the trumpet, the brass instrument is likely to give foul smell whenever you want to play it. The water key should be removed now and then to ensure that the trumpet is free from saliva. Once you open it, you can shake the trumpet while you allow the saliva to move out of the trumpet easily without hassles. The tuning slide is an important part of the trumpet for those who love to play all kind of melody with the brass instrument. With it, you can change the key and pitch of the trumpet when playing a different song. Due to this, it must be regularly greased to maintain the trumpet. The tuning slides must be greased often to ensure it maintains good state which will be of great advantage to your trumpet. It should be the first place to check once you notice the sound produced isn’t up to the standard of what you are expecting with the trumpet. The valves are the three part of the trumpet under the finger buttons. Their work is to direct airflow through the instrument. The valves are protected by tubes, and you need to understand how each of them works for you to have a smooth operation with the trumpet. The tuning slide is in place all because of the presence of the brace. The brace helps to keep the tuning slide in place, and that is why you could easily use them without any falling off. 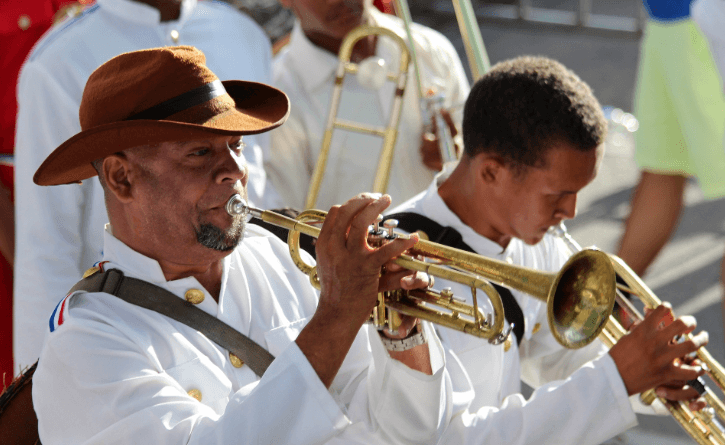 The factors that determine how long you use the trumpet depends on the maintenance mechanism you have in place to keep the trumpet healthy for a longer duration. If you use the trumpet and you don’t take proper care of it, you will likely have to get a new one soon. Proper handling and adequate treatment have a way to prolong the lifespan of the trumpet, and that is why you need to always take proper care of it. What is the thing you ought to do? The synthetic oil that comes with most of the trumpet in their case isn’t there for fun. It should be used for a particular purpose which is why it is included in the package. The oil should be used to lubricate the valve and every area of the instrument that needs to be greased for it to work very well. You should always try to clean the instrument at least once a week. You should remove every part that can be removed to wash clean. Do not leave any part out of the cleaning process including the mouthpiece. Clean the bell and don’t leave it out all because it is hard to do. Make use of tuning brush to clean it and also the valve and ensure they are in good condition before you ever decide to store. Do not store the trumpet in the case while it still has water on it. You are likely to get it damaged in that way. You need to ensure it is very dry before you place inside the case. Most of the trumpet package comes with cleaning cloth which can be used to clean the trumpet and keep it dry after washing it. Trumpets are not to be stored without playing them. It is why you need to keep playing the trumpet regularly. Playing regularly will boost the performance of the trumpet and as well help you to become a better player you ever dream of. It is very important for you either as a novice or professional to know each part of a trumpet and at the same time understand the functions. If you don’t know each part and understands their functions, you are likely to have difficulty in playing the trumpet to the best it can perform. There are different parts of the trumpet and that I have carefully stated in the article from the Mouthpiece, Lead Pipe, Finger Button, Little Finger Hook, Bell, and Water key, Tuning Slide, Valves, and the Brace. All of this has the roles they play in the trumpet to ensure you get the best of it whenever you want to play the instrument. Your understanding of each part will help you relate with the trumpet the right way.